What is the Wakelet Community? The Wakelet Community is an exclusive group of people that we call Superhumans! Superhumans are people who want to play an active role in where we’re heading. They love the platform and want to tell others about it, suggest new ideas, and are the first to test new features. We created the Wakelet Community to bring all the Superhumans together. We love getting your feedback, suggestions and ideas – it helps us make Wakelet better for everyone. You’re the people using Wakelet everyday, after all, so we want to make sure it works for you. How do I join the Wakelet Community? Anyone who loves Wakelet and would like to help us spread the word is invited to become a Superhuman. You can apply to join the Community here. The Community has inspired – and helped us test – some of Wakelet’s most popular features. The ability to add a number of tweets to a collection at once, the notify feature, being able to share a collection via QR code and copy a collection were all features that you asked for and we were happy to deliver. 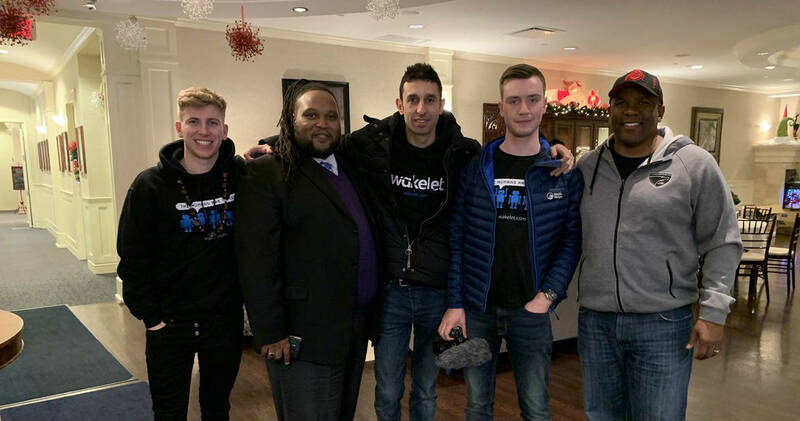 As well as providing us with great ideas and valuable feedback, Wakelet Community members have also helped us spread the word about Wakelet. Dexter Roona, Paul West and Karly Moura have all written blogs about us on a range of topics, from helping people get started with Wakelet to making the most of the platform in the classroom. Check out these great videos by James Kieft and Randall Sampson on using Wakelet in schools. Take a look at Tanya LeClair’s inspirational talk on the importance of content curation. We’ve been happy to welcome Mariah Rackley, Samantha Shaffner and Dexter Roona onto the Wakelet blog to share their expertise.